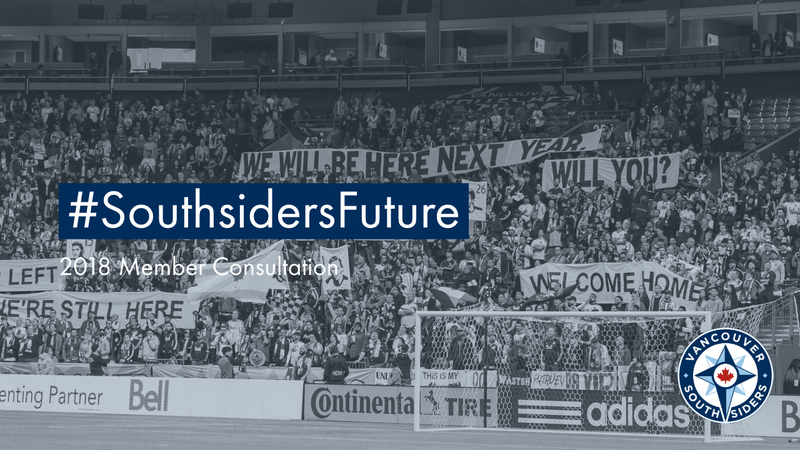 Our efforts to build a stronger supporters group with a clearer sense of purpose will continue this month with the launch of Phase Two and Phase Three of our #SouthsidersFuture 2018 Member Consultations. We strongly encourage all members past and present to complete our comprehensive membership survey. We cover a lot of ground in this one, and we thank you in advance for your time to see it through to the end. Please click here to begin the survey. We look forward to hearing what you have to say. We will be hosting a focus group discussion on November 28 to examine issues relating to our identity as a supporters group, our values, and our priorities for the future. If you are interested in joining us for this important exchange of ideas, click here to apply to be a participant. Unfortunately, we cannot accept all applicants due to the size of the venue. Space is limited to 50 participants. We will send all applicants an e-mail on or before the evening of November 25 to advise whether they have been confirmed as a participant, or whether they have been placed on a standby list to replace any sudden cancellations. Please register here as soon as you possibly can.